“Look up, what do you see? 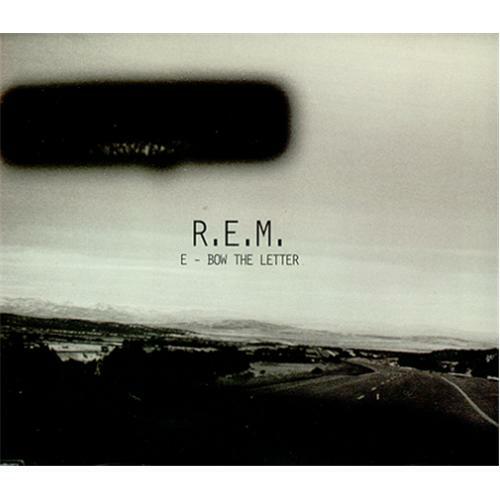 E-Bow the Letter is the first single from R.E.M.‘s tenth studio album New Adventures in Hi-Fi. It was released in August 1996 just weeks before the album’s release. Patti Smith sings guest backing vocals on this song. The song’s title refers to the EBow, an electromagnetic field-generating device that induces sustained vibration in an electric guitar string (creating a violin-like effect), and to a “letter never sent” by Michael Stipe. It is believed that the letter in question was written to actor River Phoenix expressing Stipe’s concern for his friend’s spiraling substance abuse with the letter never being sent due to Phoenix’s death. Guitarist Peter Buck can be seen using an EBow in the video for the song at approximately 1:27 to 1:30. R.E.M. has also played the song live with artists including Thom Yorke singing Patti Smith’s vocal part.